I regularly get asked whether bread is a nutritional no no. If only I had a dollar for every time that happened! Bread has been around for centuries. In fact, it dates back to biblical times. So I’m a little puzzled why people seem to be so confused about whether or not to eat it. I, for one, love bread and am a fervent believer that it can form part of a healthy diet. And that’s why it’s one of my pantry staples. Bread is jam-packed full of vitamins, minerals, phyto-nutrients, complex carbohydrates and fibre. Two slices of grainy bread (the pick of the bunch) provide about 30g of long sustaining carbohydrates, 4g of fibre and a good whack of vitamins and minerals such as thiamine, riboflavin, folate, iodine, vitamin E and potassium. And you get all that for about 600Kj, depending on the size of the slices. It can be said that eating top-quality grains can be compared to putting premium fuel into a high-performance race car. The evidence shows that eating high-quality carbohydrate grains, like those found in bread will help to optimise your physical and mental performance. That’s reason enough for me. I am a big fan of the humble sandwich – the old Aussie lunchtime staple. I load it up with lean meats, fish, low fat cheese and plenty of salad veggies. I also love a slice or two of crunchy grainy toast with my eggs and avocado on a Sunday morning. And nothing beats baked beans on toast for a quick and easy meal. 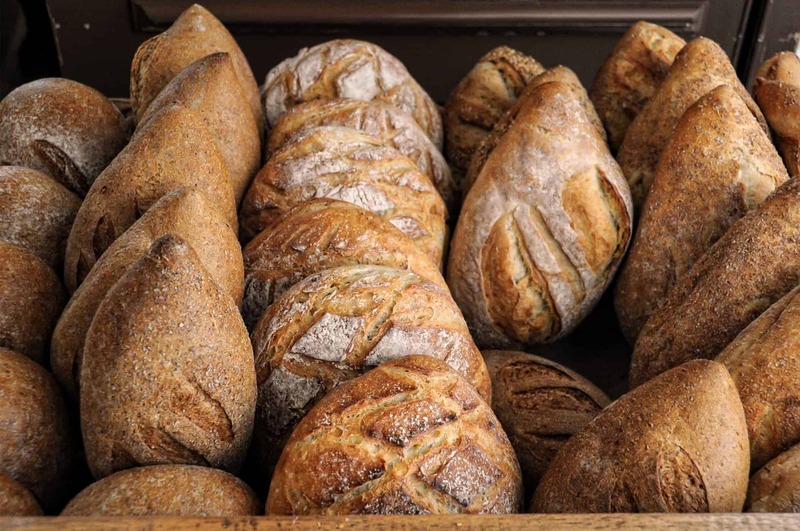 So, should you include bread in your diet too? The evidence says absolutely. Just dough it.